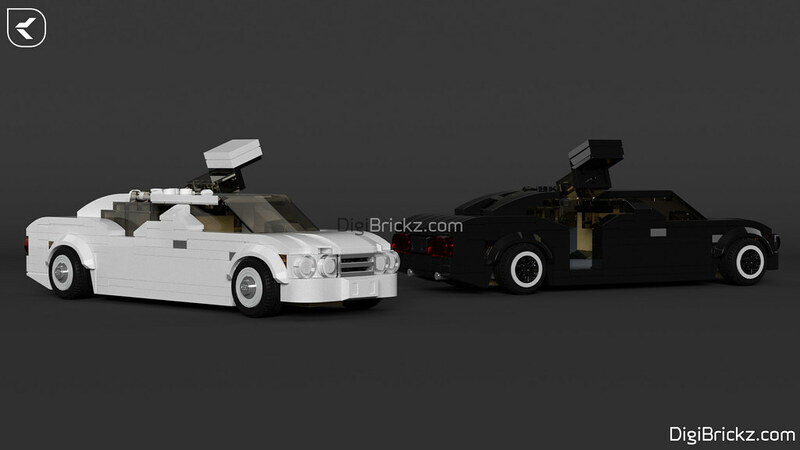 More Speed Champions cars, for now it’s a Limousine, features: Rolling wheels (DUH! ), Opening side doors, and removable front windscreen but can’t fit any Minifigs.. 🙁 But even if this can’t fit a Minifig it’s still a Minifig scale and can be placed on a Town Layout.. and I also keep the details of the inside of the car too..
I’m inspired by some builders, Garry for the main design of the car and lego59hz for the side door technique. Since it’s inspired by a Classic car, I also add a whitewall tire, round lights, and Monochrome colors.. I also reproduce a technique from my other Speed Champions Creations (MOCs). I reproduce the front door technique from Classic Delivery Van, and rear window from T6W-MC..